Tank cars on a northbound Union Pacific freight train roll across the bridge over the Kaskaskia River, just south of Modoc, Illinois. 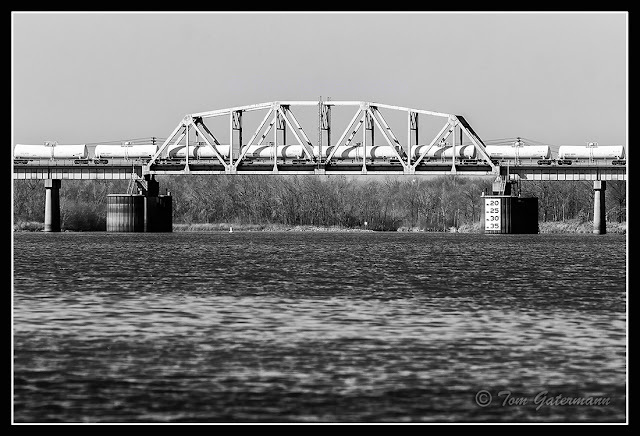 I took this photograph from a boat ramp that is down river of the bridge. March 3, 2006. South of Modoc, Illinois. Nice composition and works well in monochrome.